T.J. Opgenorth, Endothelin Receptor Antagonism. V. Sorrentino, The Ryanodine Receptor Family of Intracellular Calcium Release Channels. G.J. Moore, J.R. Smith, B.W. Baylis, and J. Matsoukas, Design and Pharmacology of Peptide Mimetics. T.B. Campbell and B.A. Sullenger, Alternative Approaches for the Application of Ribozymes as Gene Therapies for Retroviral Infections. K.K. Wu, Inducible Cyclooxygenase and Nitric Oxide Synthase. A.G. Stewart, P.R. Tomlinson, and J.W. Wilson, Regulation of Airway Wall Remodeling: Prospects for the Development of Novel Antiasthma Drugs. L. Adorini, J.-C. Guery, and S. Trembleau, Advances in Selective Immunosuppression. J.G. Jurcic, P.C. Caron, and D.A.Scheinberg, Monoclonal Antibody Therapy of Leukemia and Lymphoma. H.R. Naik, G. Kalemkerian, and K.J. Pienta, 4-Hydroxyphenylretinamide in the Chemoprevention of Cancer. I. Hellstrom, K.E. Hellstrom, C.B. Siegall, and P.A. Trail, Immunoconjugates and Immunotoxins for Therapy of Carcinomas. W.G. 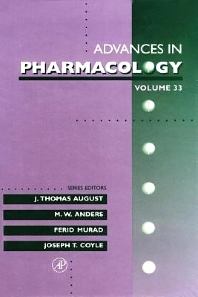 Rice and J.P. Bader, Discovery and in Vitro Development of AIDS Antiviral Drugs as Biopharmaceuticals. Chapter References. Subject Index. Contents of Previous Volumes. Researchers, technicians, and graduate students in pharmacology, immunology, neuroscience, and biochemistry.